When I came to the United States with my family about 4 years ago, I naturally gravitated towards language learning and education. I started working at QTalk publishing company as an editor and Mandarin tutor, and there I met the exceptional BASIS Independent Brooklyn Mandarin Teacher, Ms. Na Fan. Then I developed a Mandarin extracurricular program for PS 9 and PS 166, which attracted a lot attention due to the effectiveness of the QTalk method and continued growth in enrollment." 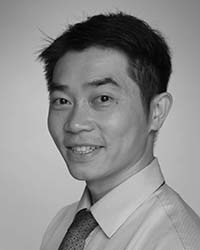 As a Mandarin Teacher at BASIS Independent Brooklyn, Mr. Chen truly enjoys teaching the students each day. He offers a full Mandarin immersion classroom, providing young learners a chance to acquire the language quickly and naturally, and a heritage Mandarin program for students raised in China or who speak Mandarin at home. "It’s fulfilling to see students speaking more Mandarin week after week. It is very important to me that my students are making progress and enjoying the learning process. Most of our students start at BASIS Independent Brooklyn with little or no Mandarin experience and join in grades where returning students have taken Mandarin for a year or more. Seeing that other students are speaking exclusively Mandarin in class can sometimes feel overwhelming, and they may have a lot questions about the content. To help ease the transition, I pay extra attention to their homework, spend one-on-one time during student hours, and encourage other students to help them. It’s amazing to see that those new students are now raising their hands high and eager to learn more in class."